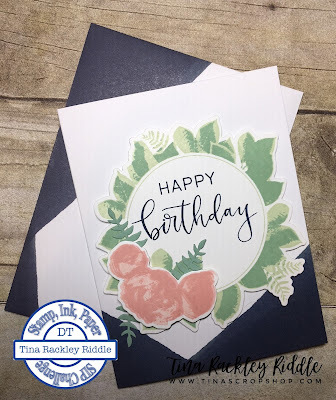 Tina's Crop Shop: SIP #160 Color Challenge! I'm in love with these new goodies from Concord & 9th! The July 2018 C&9 release was awesome! So first of all I used these awesome Dipped-Dyed Cards and Envelopes... they are sooo pretty and 4 awesome colors. 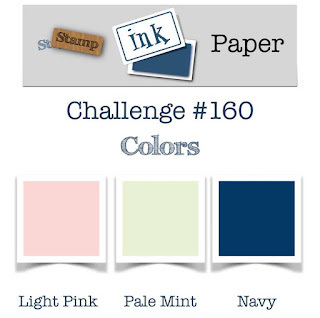 I chose the navy because it was one of the challenge colors for this week! Next let me tell you how cool the Laurel Frame Bundle is!! There are soooo many cool pieces that come with the framelits... I think it's one of my favorite sets!! !